Pakistan is a country which has been in a long run of energy crisis since last decades. 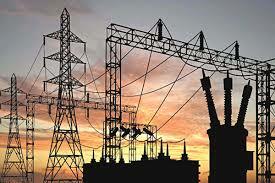 There is about 5000 MW electricity shortage to meet the domestic demands. Considering the impending demand of electricity, the current federal government decided to complete a good number of projects till the mid of 2018. It is expected that with the completion of 13 small and medium size power projects about 5000 MW energy will be added to the main grid. These 13 power projects are of different nature. Three out of total are LNG run, two are nuclear fired, two are gas-fired, four are hydropower base and remaining is coal-based. Detail of them is given below. But still, Pakistan is running out of enough number of powerhouses which can fulfill the need of required grids. But the Govt of Pakistan is currently working on Power Projects of Pakistan in 2018 to overcome load shedding. In the following side, we are discussing about these projects details. So keep on reading to get these details. (Neelum Jhelum): Neelum Jhelum hydropower project is being constructed on river Neelum. It is among the power projects of Pakistan which are going to be completed in 2018. It has total power generation capacity of 969mw. ( Terbela Four Extension): It is installed on Jhelum dam. It has a total capacity of 1410 MW. Donor agency for this project is World Bank. Total cost for this construction is 914 million$. Sahiwal coal project: Total power generation capacity of this power project is 1320 MW. It is built with the help of China. Faisalabad Gas Power Project: Total power generation capacity of this project is 250mw.It has a total of 9 units. These are the current working based power projects of Pakistan in 2018 to overcome load shedding!